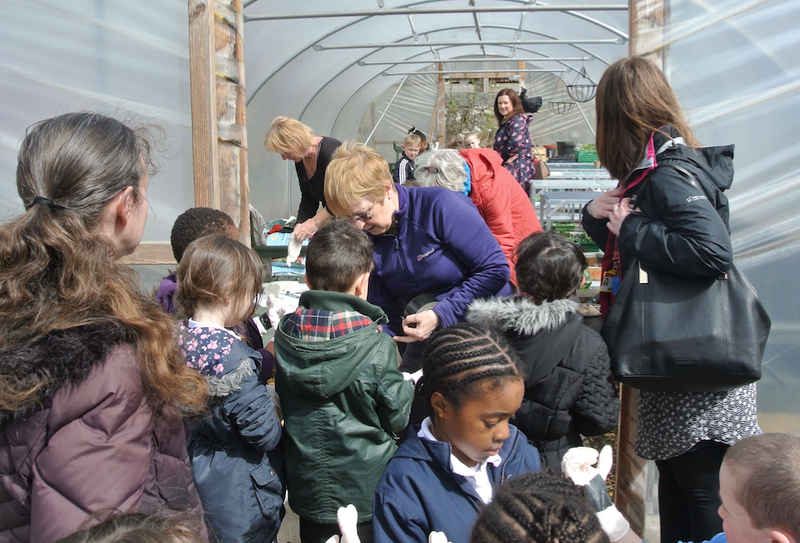 GFAA hosted the first of our extended primary school visits this Thursday when Mrs McKenzie brought her Primary 2 class to visit with us. This year we have planned to have a primary 2 and a primary 3 class visit with us on Thursdays over the next 10 weeks and some older classes visit for five weeks in May and June. All gloved up and ready to go! 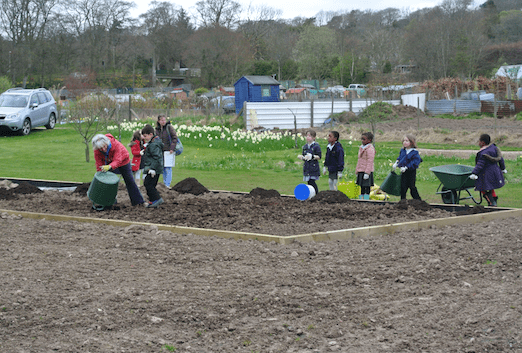 The pupils did three activities this week – seed sowing with Jacqui and Gill; tattle planting with Stuart; and soil science with Marion and Norman. Well, actually the last group did compost and dung carting, but a good time was had by all at least! If you could spare an hour from time to time to help out with these visits, please see any of the above named: We would be delighted to have your help. Bonfire boys – and girl.